The zippers on the bean bag chairs can be opened by children who can then crawl inside, get trapped and suffocate or choke on the bean bag chair's foam beads. Two deaths have been reported in connection to these bean bag chairs. The recall includes about 2.2 million bean bag chairs sold from 1995 to 2013. This recall is being reannounced after only 790 consumers responded to the initial recall made in August 2014. \\\\nThe recalled bean bag chairs have two zippers, including an outer zipper that does not have a pull tab and another zipper directly underneath that zipper. 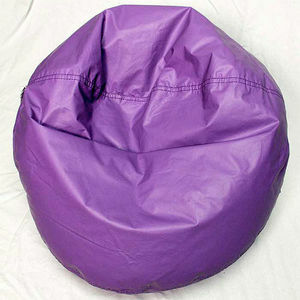 The bean bag chairs were sold in a variety of colors and sizes. The bean bag chairs were sold at Bergner's, Big Lots, Bon-Ton, Boston Store, Carson's, Elder-Beerman, Herberger's, Meijer, Pamida, School Specialty, Wayfair, Walmart and Younkers stores and online at Amazon.com, Meijer.com, Walmart.com and other websites from 1995-2013 for between $30-$100. Consumers should check the outside zipper on their bean bag chair to ensure that it has a metal staple to disable the outer zipper. If it does not have a metal staple, take the recalled bean bag chair away from children immediately and contact Ace Bayou for the free repair kit to permanently disable the zipper. Ace Bayou can be contacted at (855) 571-8151. Ace Bayou toll-free at 855-571-8151 from 7 a.m. to 3:30 p.m. CT Monday through Friday or online at www.acebayou.com and click on “Recall Information” for more information.